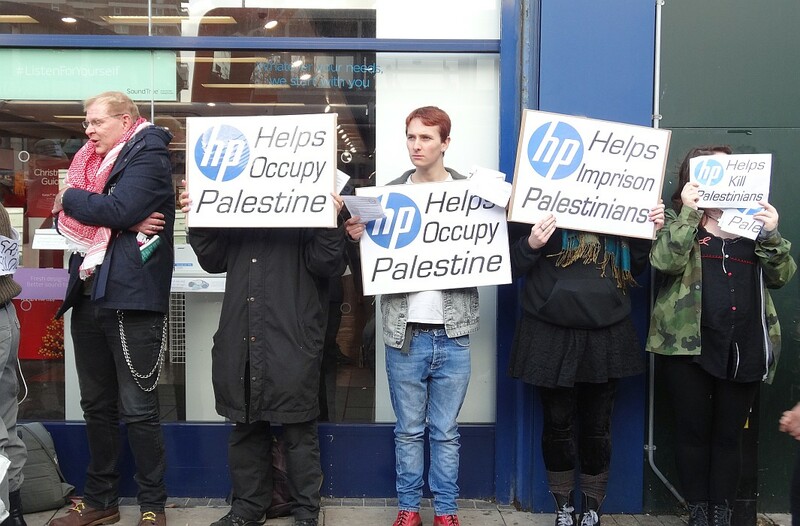 Today we launched our boycott campaign against Hewlett Packard – our contribution to a major global campaign in recognition of HP’s deep complicity in israeli apartheid and the illegal occupation of Palestine. 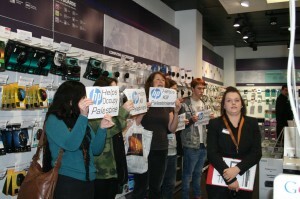 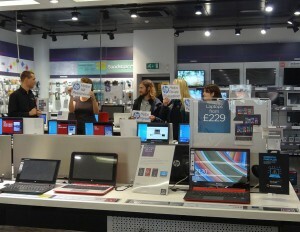 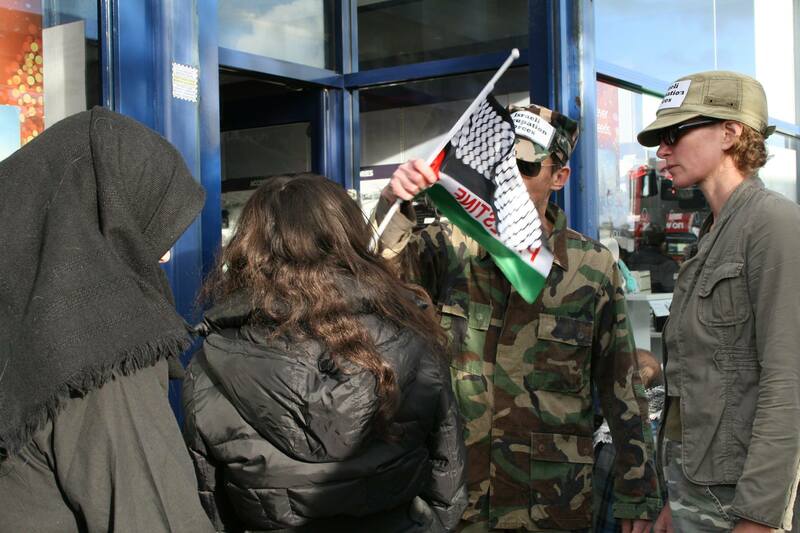 Our local campaign kicked off on Saturday with a demo inside and outside Curry’s PC World, one of HP’s major retail stockists in central Brighton. 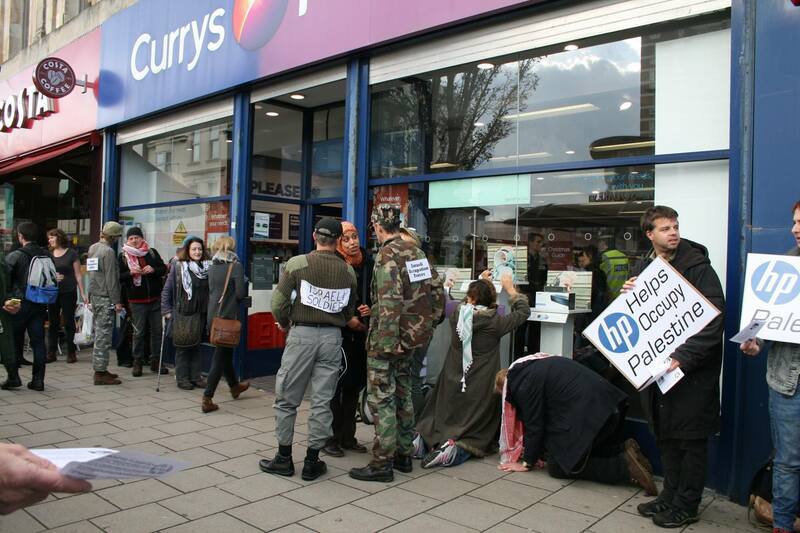 In the run-up to Xmas we’ll be calling on consumers at Curry’s and all the other HP stockists in the city to boycott HP laptops and printers. 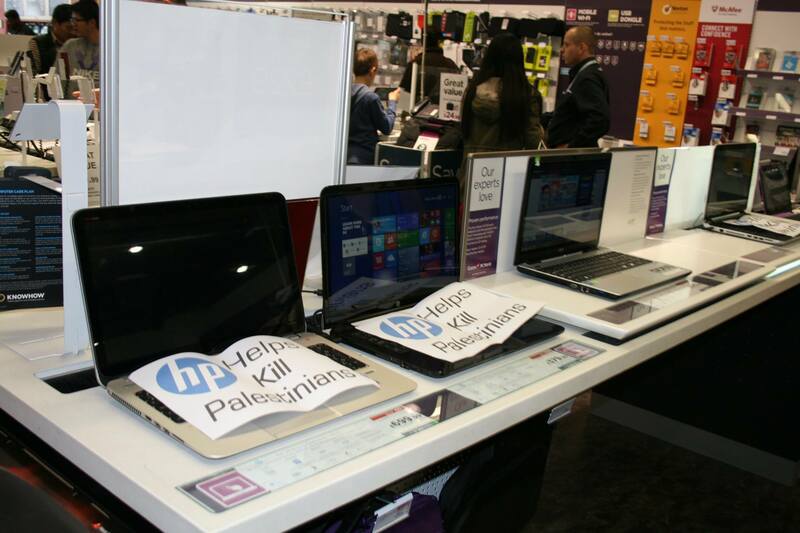 Some of us entered the shop and peacefully put signs on the HP laptops: “HP – Helps occupy Palestine” and “HP – Helps imprison Palestinians”. 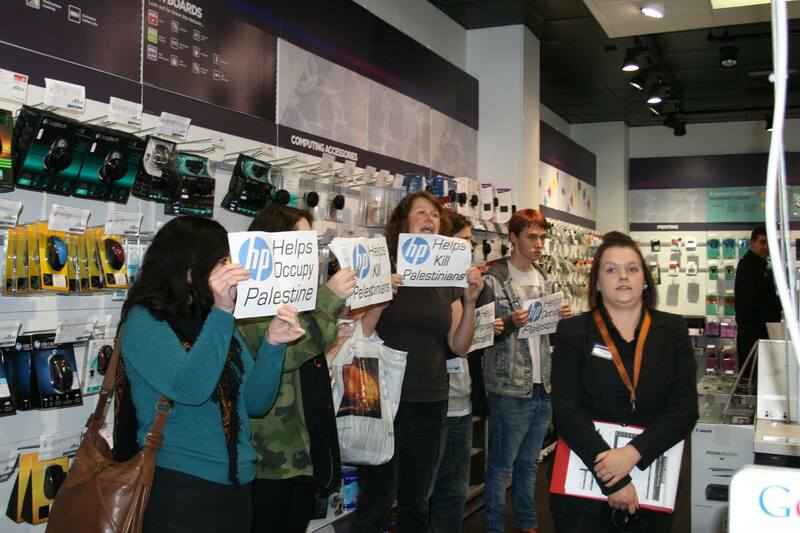 We stayed in the shop for some time and told the public about some of the atrocities that HP are part of in the brutal network of checkpoints in the West Bank. 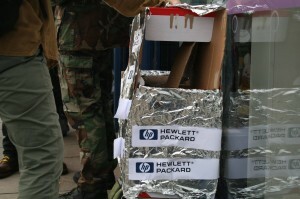 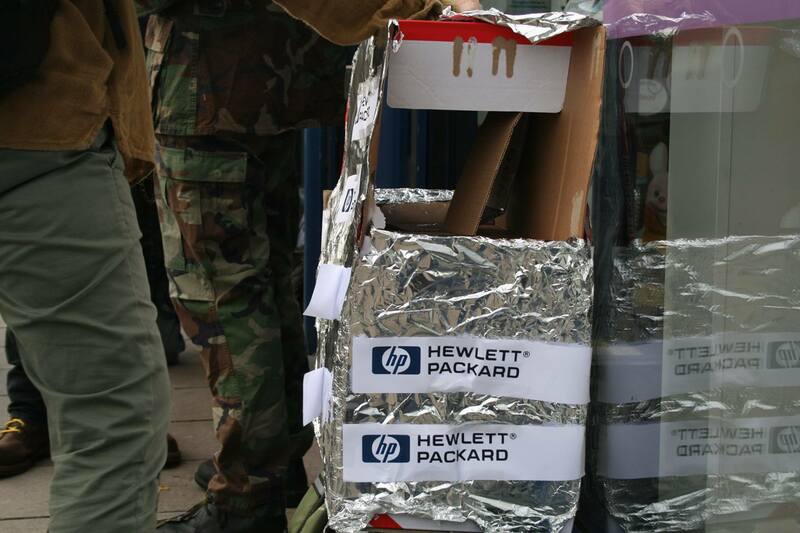 Outside, we built a checkpoint – supplied by HP of course. Some of us were in the role of Israeli soldiers while others played Palestinians subjected to the daily humiliating procedures at checkpoints just to get from A to B. 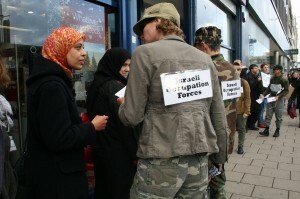 Many members of the public stopped and asked questions and a couple even joined in the role play. See photos below. 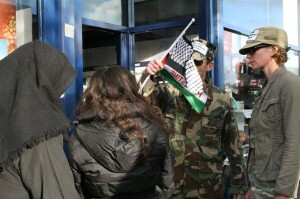 The demo was also reported as a news feed to the Ethical Consumer website: ‘Palestinian Activists Targett Hewlett-Packard’. 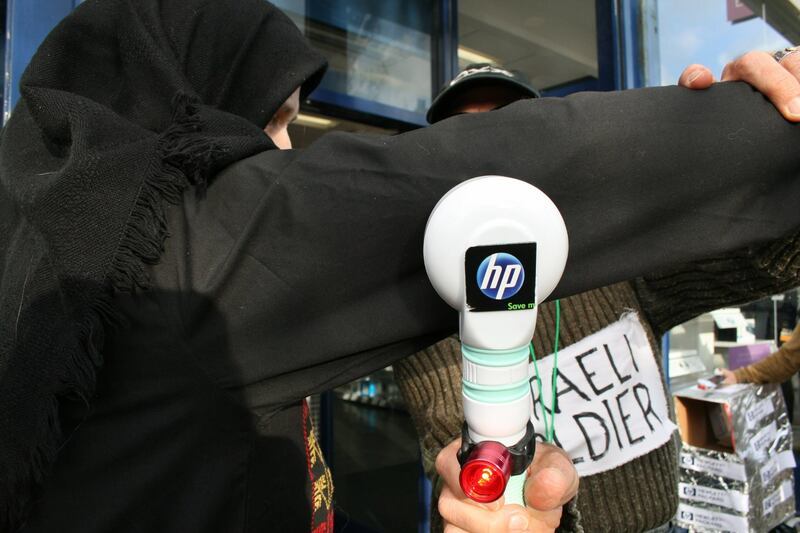 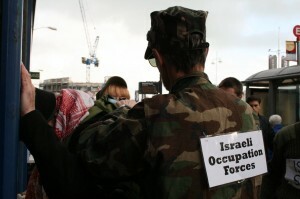 HP is a major player in the israeli military-industrial complex and in the occupation of Palestine, supplying electronic equipment at checkpoints and prisons and to the israeli military. 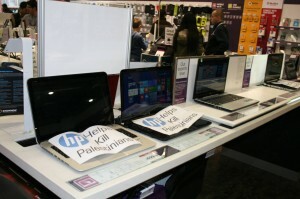 HP an integral part of building up of a surveillance database on every Palestinian in the West Bank. 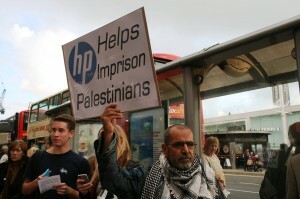 Palestinian prisoner groups have called on the international BDS movement to target HP, due to HP’s deep involvement in israel’s prisons. Campaigning in the USA has focused on HP factories, but there is no HP factory in the UK so campaigning must focus on the company in other ways. 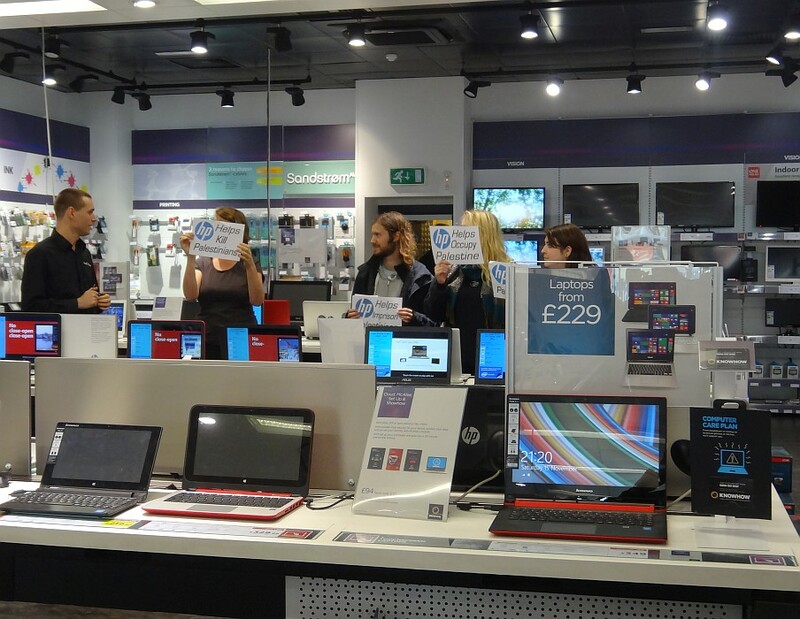 The strategy for HP campaign nationally is to target high street retail stockists in the run-up to Xmas, and then in the New Year to focus on divestment by e.g. 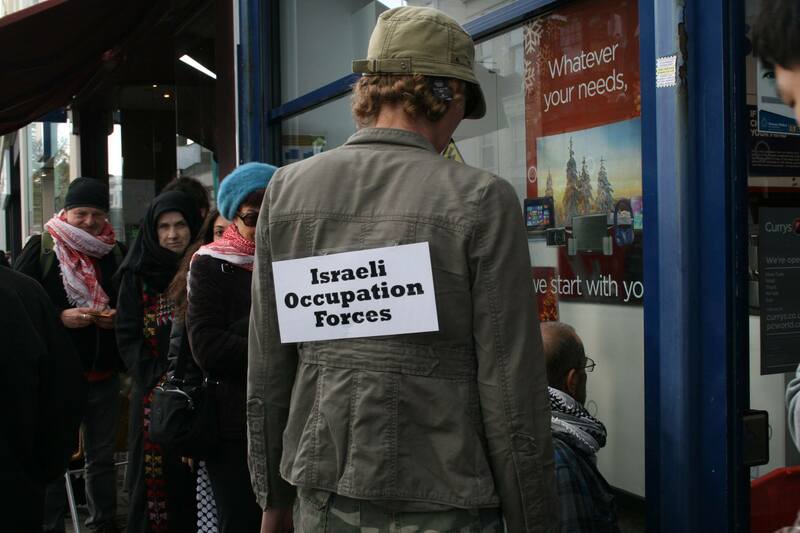 local councils, universities, trade unions.